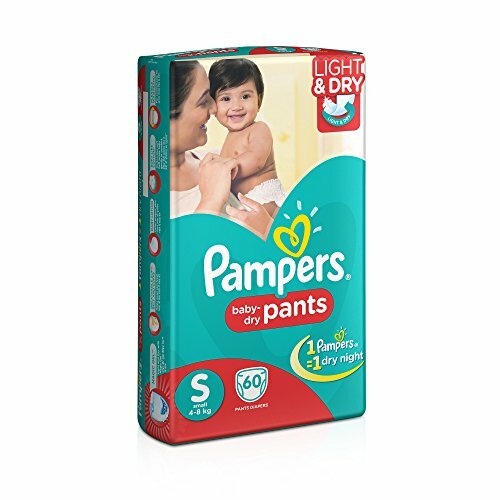 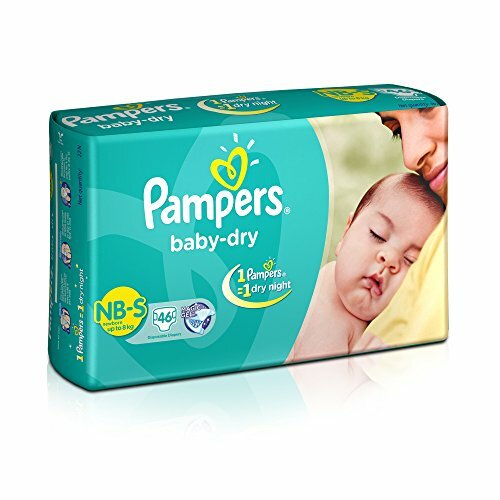 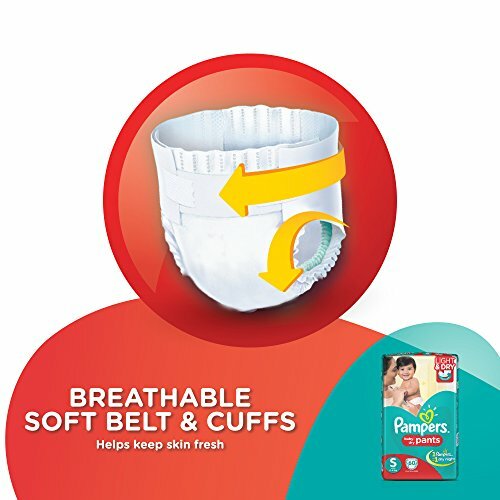 India’s driest pants let your baby’s skin be dry and breathe easy with the airy, soft comfort offered by the Pampers pants. 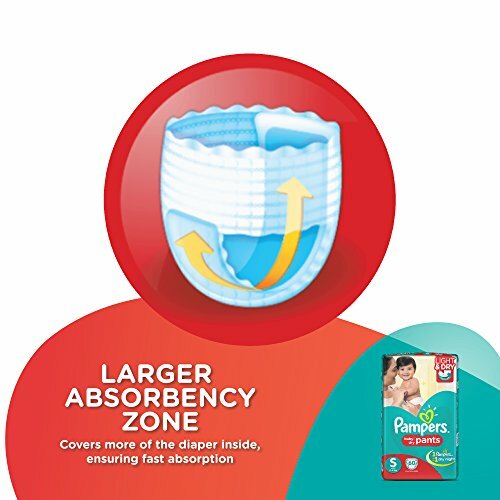 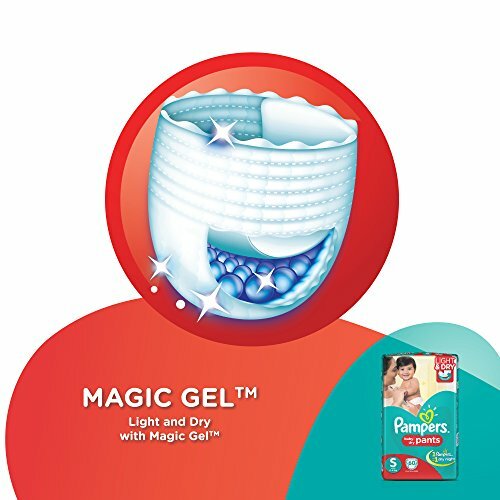 While other ordinary pants seem dry from outside, Pampers pants with magic gel and larger absorbency zone keeps your baby dry from the inside for up to 12 hours. 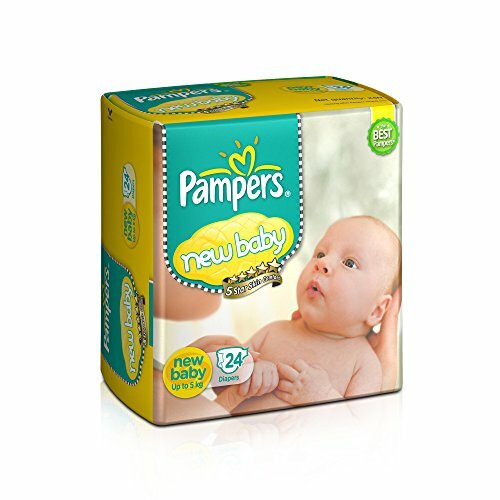 This diaper is infused with baby lotion, which moisturizes and nourishes your baby’s skin and protects it from diaper rash, roughness and irritation. 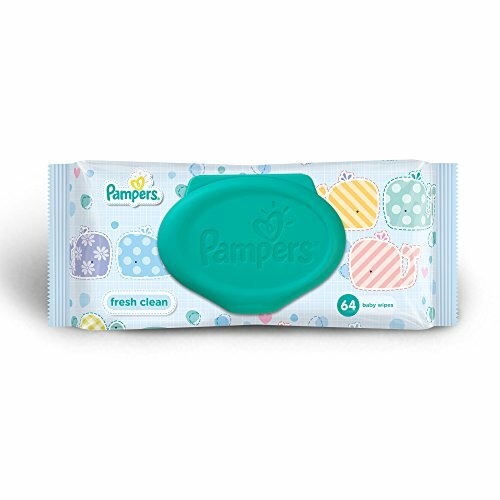 With an outer layer of cotton like softness, this baby diaper provides intense care to your baby’s sensitive skin and protects it effectively from friction rash and redness. 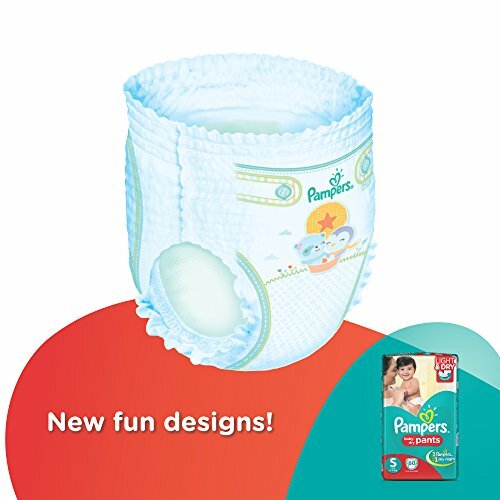 Featuring pant style design, these Pamper diapers are easy to put on your baby and change, which comes as a great help to mothers. 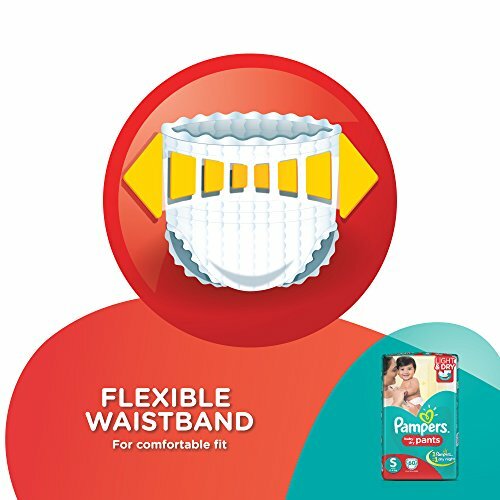 Offering complete care and protection, these baby pants will help keep your baby smiling and comfortable at all times. 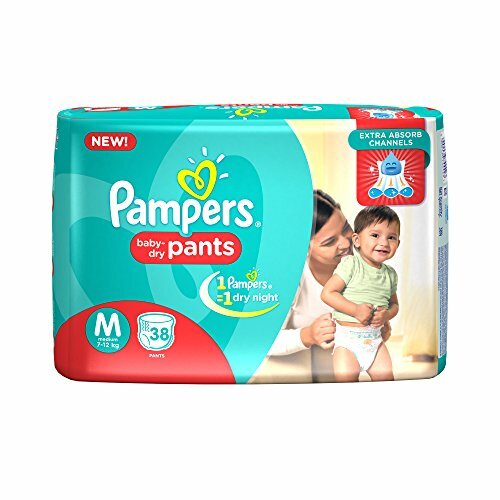 Your baby will laugh and play in comfort of wearing Pampers pants.